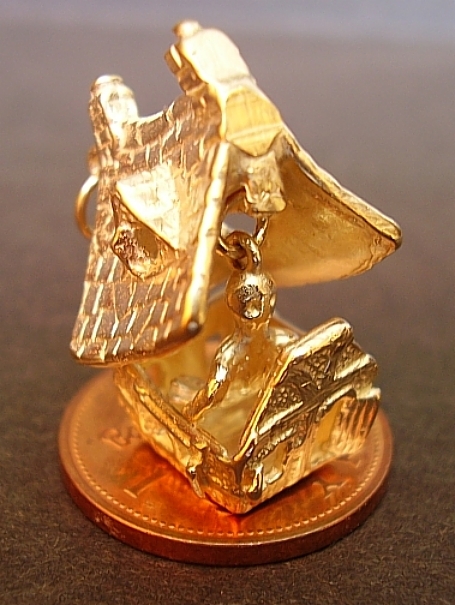 Exquisitely detailed,our 9ct gold haunted house charm is made by us,all of our gold charms are fully Assayed/hallmarked at Birmingham's Assay Office. Our sterling silver snooker triangle cufflinks are supplied in a presentation box making them the perfect gift,we only use the highest quality fittings. Our sterling silver scarab charm will fit most bracelet styles,just choose your required clasp or hanger at checkout.A 5mm jump ring is fitted free with every charm.